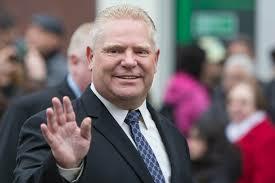 On September 10, 2018 Superior Court Justice Edward Belobaba ruled that Premier Doug Ford’s Bill 5 – the so-called Better Local Government Act – to reduce Toronto’s city council from 47 wards to 25, breached s. 2(b) of the Charter and was therefore unconstitutional. Shortly thereafter Premier Ford announced that not only was his government going to appeal the court’s decision, but he was going to invoke the Constitution’s “notwithstanding clause” for the first time in Ontario’s history to override the judge’s decision. The revised Bill has been introduced in the legislature with debates lasting into the late night; while a stay application, pending the appeal of the court decision, has been scheduled for Tuesday, September 18th. The David Asper Centre for Constitutional Rights is convening a moderated panel discussion in order to unpack the various legal issues involved in this unprecedented case. Panel members will include two of our faculty’s Constitutional Law Professors Lorraine Weinrib and Yasmin Dawood, and litigator Steven Barrett of Goldblatt Partners LLP. Please join us on Thursday September 20, 2018 at 4:30pm-6:00pm in J250 Jackman Law Building, for this timely event.